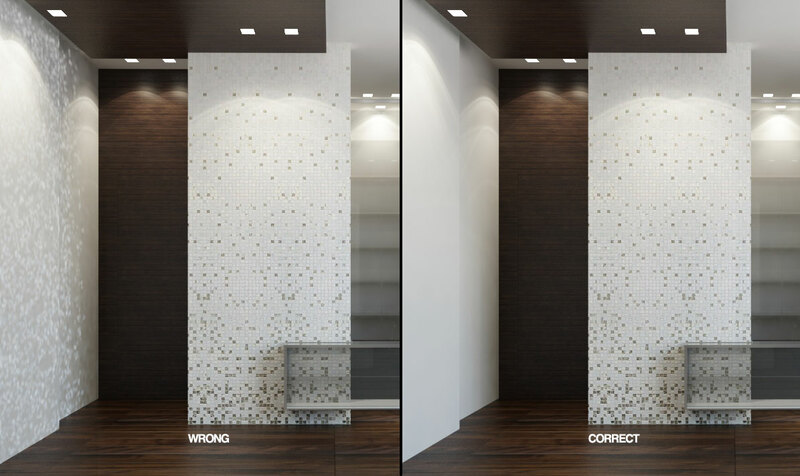 Spots, splotches, stains can come from so many different situations and most of times they are caused from irradiance map. To avoid this issues the only thing to do is using all tools in a linear and not-strange way. In case you have curtains you can choose to use V-Ray in portal mode with “simple” option, this allows the V-Ray light to bring light inside directly from the sky, bypassing any object behind. In this scene we are using V-Ray Lights in portal mode, with “simple” option enabled. To do this in the correct way we need to put the “portal” inside, just in front the curtain. Error 1: The “portal” must not cross the curtain. 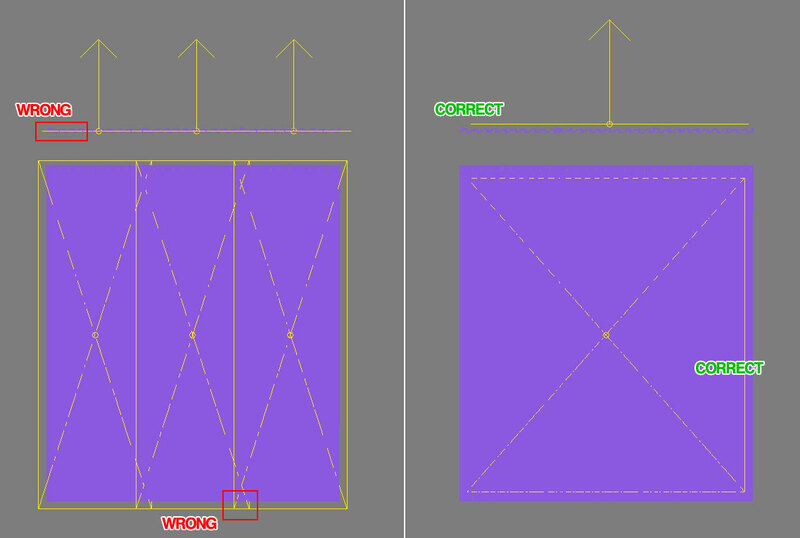 Error 2: If you have more portals, do not to let them cross each other – It’s suggested to use just 1 big portal, covering the entire curtain. In this case we are using “Store with irradiance map“. If you do not enable this option the light will be calculated in “direct computation”. This produce more detailed shadows but it will take more time to be clean and not grainy. If you want faster renders you can use “store”, in this case consider to increase subvids from 8 to 32 in order to get better shadows.